Discover the Cusco Region of Peru in a day! The Cusco region is full of mountain trails to be explored, ending with scenic canyons and ancient ruins. The hikes can be long and arduous, or they can be conquered in a day. This article highlights some of the one-day hikes in and around Cusco. Huchuy Qosqo (little Cusco) is a fascinating archaeological centre located in the Sacred Valley of the Incas. 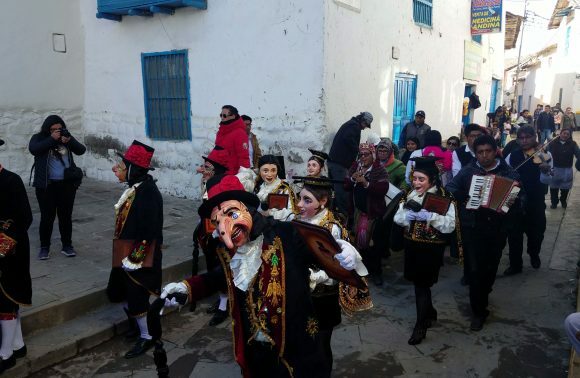 It is situated at approximately 3,600m above sea level, just above the villages of Lamay and Calca. 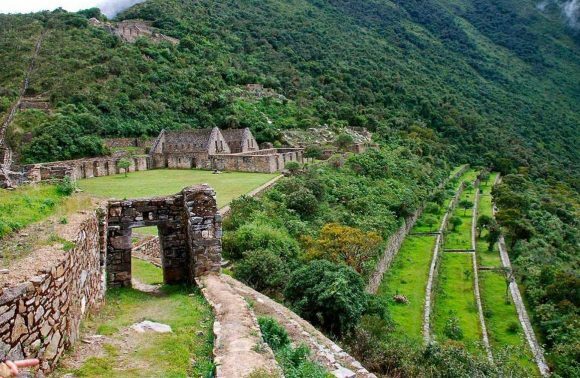 It contains the ruins of an Inca town with cultivated terraces, making for an ideal viewpoint of the Sacred Valley and other beautiful peaks, such as Chicon, Pitusiray, Sawasiray, Waccaywilca and Veronica. 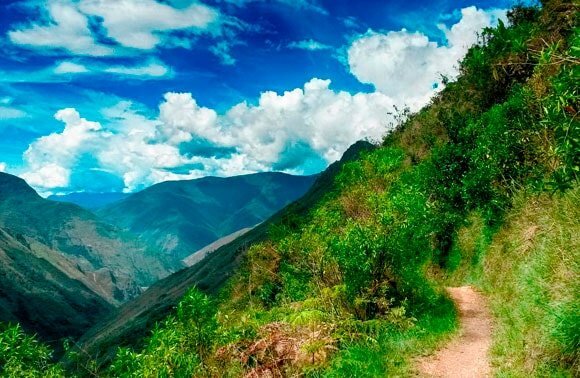 What sets this hiking trail apart from the others is that it almost entirely follows the original road that the Incans walked themselves; a road that was built over five-hundred years ago with phenomenal precision and expertise by this ancient civilization. 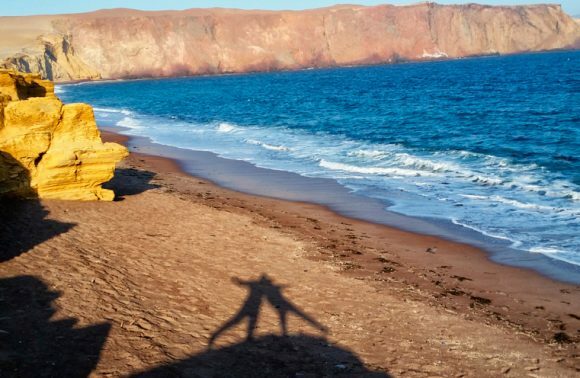 Trekking to Huchuy Qosqo can be accomplished in one full day or broken apart into two. The duration of the trek will depend on the physical fitness of the hiker and their acclimatization to the high altitude. The highest points of the trek exceed 4,300m above sea level. 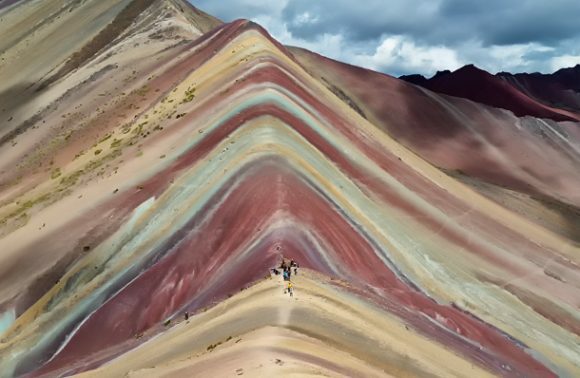 Those who have already spent several days in the Andes should be in good physical condition and could aim to complete the trek in one day, walking for about 8-9 hours from start to finish. If you are determined to complete the trek in one day, and are sure that you can meet the physical and acclimatization requirements, then you should start the expedition no later than 7 AM. Without breaks, the village of Lamay or Calca can be reached in 7-8 hours, and with breaks, in around 9-11 hours. However, if you doubt your ability to complete this time-enduring trek, it is better to break it down into two days. The route is demanding and difficult only if done in one day. The first difficult section appears near the beginning. You must climb to the pass at over 4,000 meters. This section is completely uphill and will take over an hour. But after this, the route is mostly flat or even slightly downhill, except for a few small hills. The final section is a very steep downhill and can be challenging on the knees. An alternative option is to descend to the village of Calca. The descent is milder but takes a little longer, which after many hours of hiking, can be a less desirable option. You can shorten the route by starting at another location. You can do this route on horseback. Inti Punku means ‘sun gate’. In the Incan Empire, stone gates atop hills were extremely important. These rocky ruins are located throughout Peru and can be seriously impressive. One of these gates can be reached from the charming town of Ollantaytambo, following a trail that takes you over the wondrous beauty of the Sacred Valley. Along the way, you will pass other ruins from the time of the Incas, as well as the places from which they transported stones to build the incredible fortress in Ollantaytambo. And to crown it all, there is also a lovely natural swimming pool, where you can swim and admire the beauty of the agricultural terraces and snowy peak of Mt Veronica. Once you arrive at Inti Punku, there is an amazing view of four different valleys; the perfect place to sit and ponder, away from daily life. It is not a challenging hike but it requires physical strength. The first section is more difficult, as it is a steady uphill climb for 4-5 hours. The return hike is conversely a slight downhill. You can do this route on a horse. Patacancha Valley is a beautiful part of the Cusco region. The picturesque landscapes are full of tradition and welcoming people who make this place truly unique. It is almost worth coming to this remote part of the world not for the beautiful mountain scenery of Cordillera Urubamba, but for the people who inhabit it. It is truly special to get to know their way of life and colourful handmade textiles. Patacancha Valley is very colourful, especially due to the incredible clothing worn by the inhabitants, dominated by various strains of the red. This is definitely the most challenging of the proposed one-day treks in the Cusco region, but it is very scenic. You will have to meet the challenge of the trail through local villages and mountain passes at an altitude of 4,300 metres above sea level. The trail can be overcome in around 11-12 hours by those who are acclimatized and fit enough. But at the end of the trek are hot springs to bathe in and rest weary bones. Do you like the above-mentioned routes? Write to us, we will help you discover them! Also, find more interesting trekking and hiking tours among our individual Tours around Cusco and Peru. Maravilloso trek!! Y… a calentar piernas!! Muy buena opción sobre todo cuando no dispones de muchos días, porque esta larga caminata (entre 8 y 10 horas) se divide en 2 partes muy diferentes, por lo que obtienes 2 maravillosos treks en 1, más la suerte de poder recorrer parte del camino inca original. 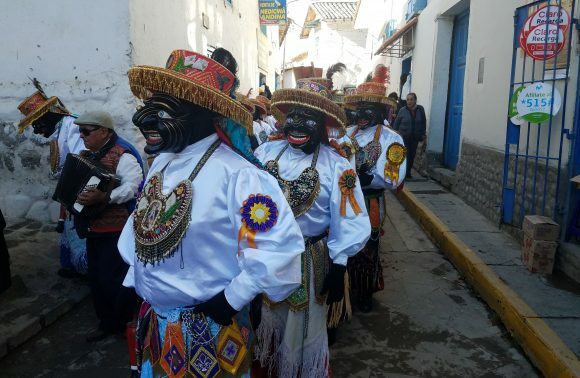 Huchuy Qosqo – Lamay es una fusión perfecta de naturaleza y cultura. Empezamos poniendo a prueba nuestra resistencia a lo largo de 1h., mientras subimos vamos dejando atrás ruinas para dar paso y ser testigos de la majestuosidad de las montañas que nos rodean y poder disipar a lo lejos grandes nevados como el Verónica, el Chicón o el Ausangate; a nuestro pies quedan hermosos valles, ríos y lagunas, por lo que caminar a 4.200m (máx. punto) hace que te sientas caminar entre balcones,todo es un gran mirador! La segunda parte del trek iremos descendiendo suavemente alejándonos de la amplitud que nos rodea, a recorrer parte del camino inca y adentrarnos entre su muros y grandes rocas, pasaremos puentes y disfrutaremos del frescor de una cascada. Otro paisaje con otra historia muy difente. Sin duda, un maravilloso trek!!!! The one I did with Sylwia is Cusco – Huchuy Qosqo – Lamay. This is a long distance trail (at least 8-10 hours walking distance) with altitude between 2800m-4300m. Though it is just one day trek, there are lots of spectacular view along the trek which I don’t feel I walked 9 hours. And surprisingly, this trek include part of Inca Trail and I can experience how wise is the ancient Incas to build this road. If you are planning to do multi days trekking to Machu Picchu (like Salkantay, Inca Trail, etc), having a one day hike in Cusco area would be a good idea to adapt the altitude and test your physical fitness. And I will recommend you to follow Sylwia. She is very passionate in mountains and had a several years experience trekking in Cusco and its surrounding and even Andes Mountains. Huchuy Qosqo is an incredible trek worth doing. Although one must be in relatively good condition to do it. I would recommend acclimating before doing this trek as it requires at least 8-10 hours of hiking at 9-14k feet in elevation, (2-day trek is also an option). We were fortunate enough to have Sylwia as our guide and she made sure that every stopping point featured the most breathtaking views of Cusco and the surrounding mountains of Veronica, Ausungate, and El Chicon . If you have a keen interest on doing the Inca Trail during your visit in Cusco, this trek is a must – for the latter part of the trek takes place on the Inca trail. I’ve trek the Salkantay and Rainbow Mountain, as well as driven in and around the region, this less well known hike is by far the most breathtaking. If you’re looking to do this trek at some point, I would highly recommend getting a hold of Sylwia either on this site or on her facebook.